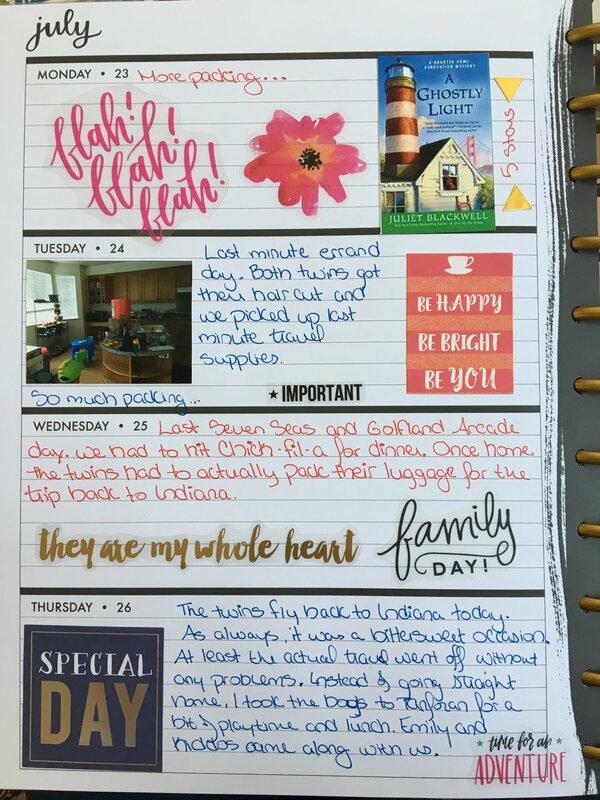 Loving my pages this month! 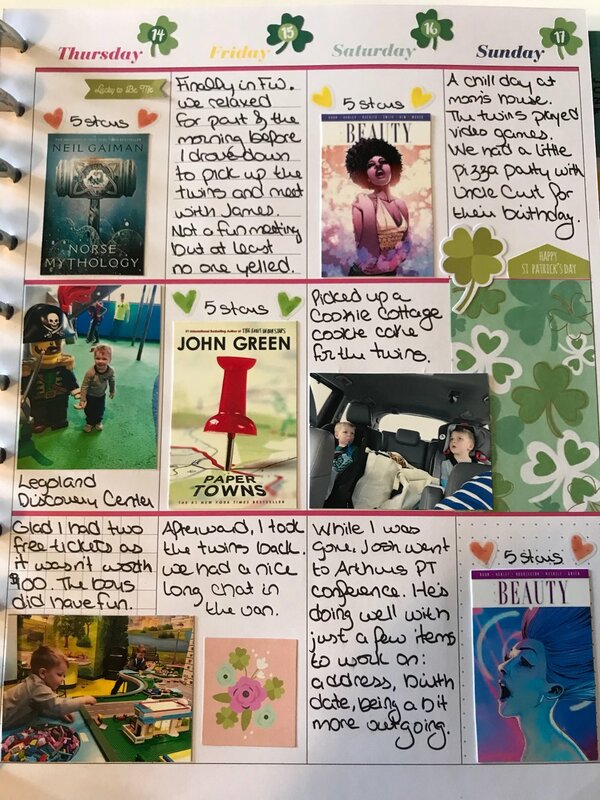 I think I have found a good balance of photos and journaling with embellishments only to fill space or add a bit of fun. Super excited that I got these pages finished right at the end of the month (even if it took me awhile to upload here). I’m almost doing these in real time! February’s pages got pushed to the background while I finished up my 30 Days of Birthday Cards. Thankfully I got them all finished this week and am ready to move on to March’s pages. 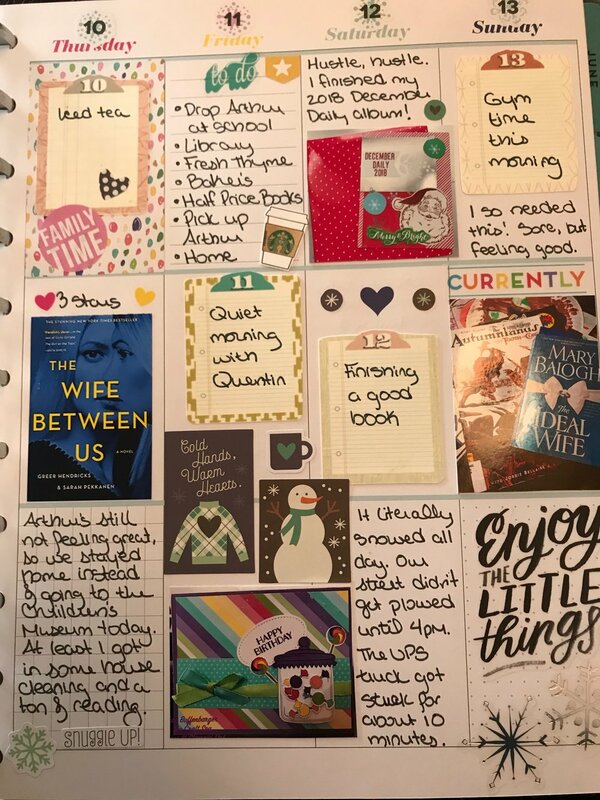 Really loving my vertical Memory Planner for this year! 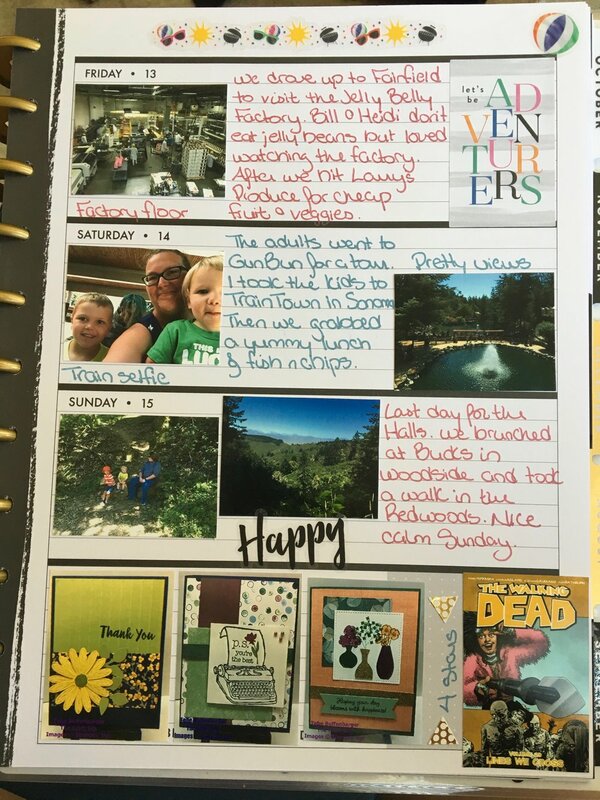 Another year, another Mambi Happy Planner as a fun personal Memory Planner. This year, I picked up an undated Memory Planner to use. I am going back to a vertical layout. I enjoyed the horizontal layout, but wanted to switch back. 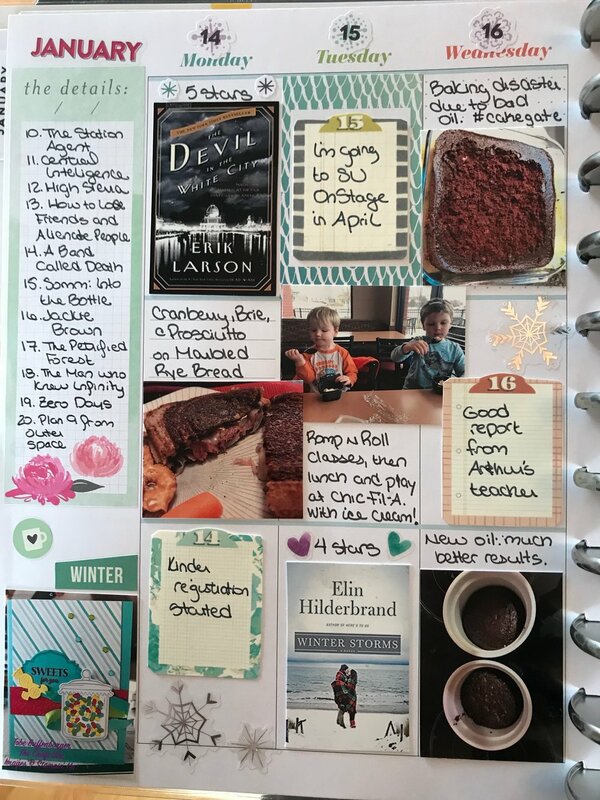 So here are my January pages. I really had a lot of fun adding in blue color sticers and special features. The Picture of the Week spots are my favorite. Another year, more planner spreads. 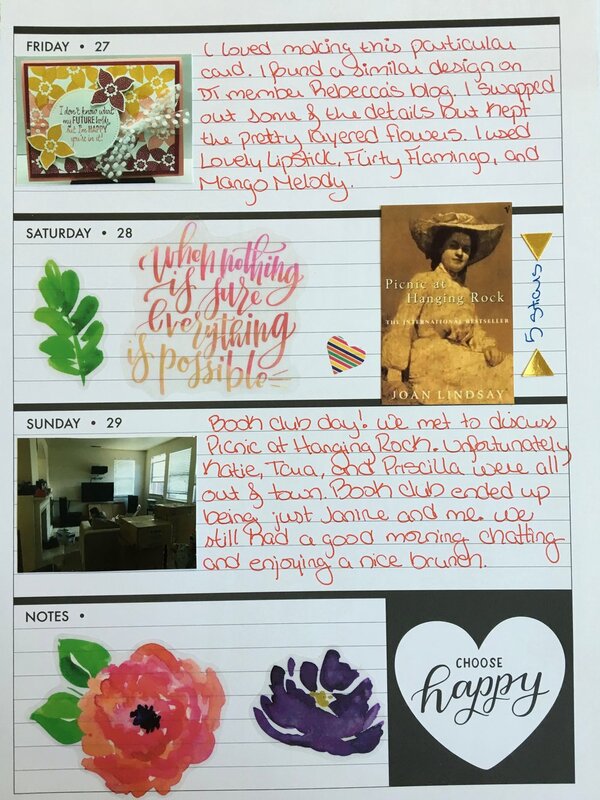 I'm a huge fan of The Happy Planner by mambo and this will be my third year using their planners. 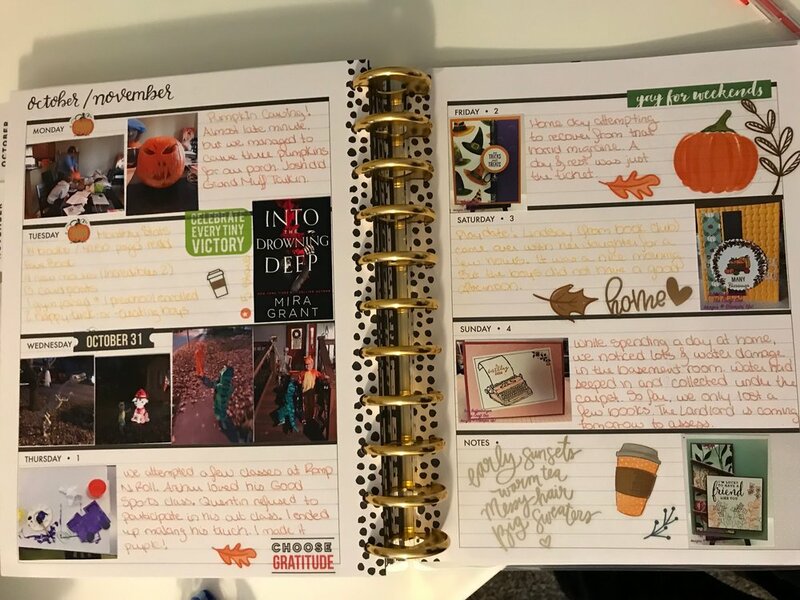 In this post, I highlight all my weekly spreads from September to Decembert. I finished my pages right when the month started and I’m so excited that I these are done. November is my last full month in my memory planner. 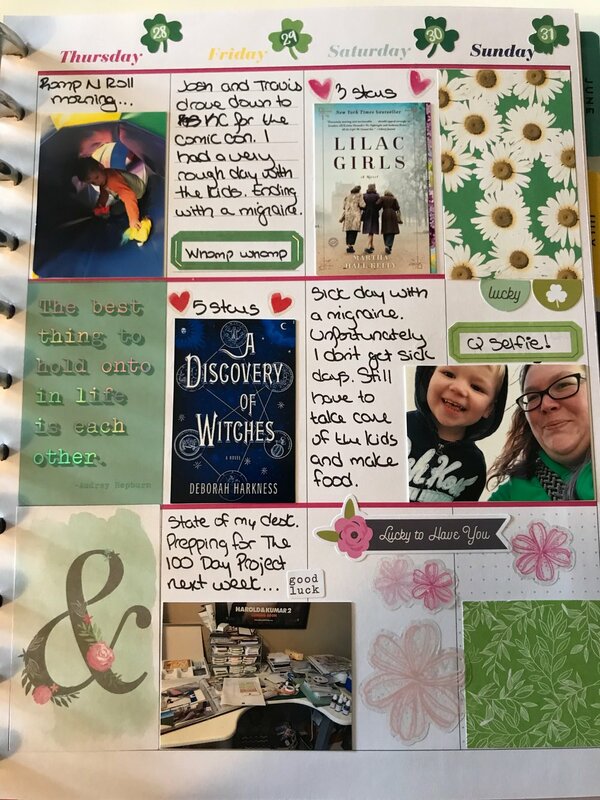 For December, I’ll be using my pages to do 30 Days of Lists. 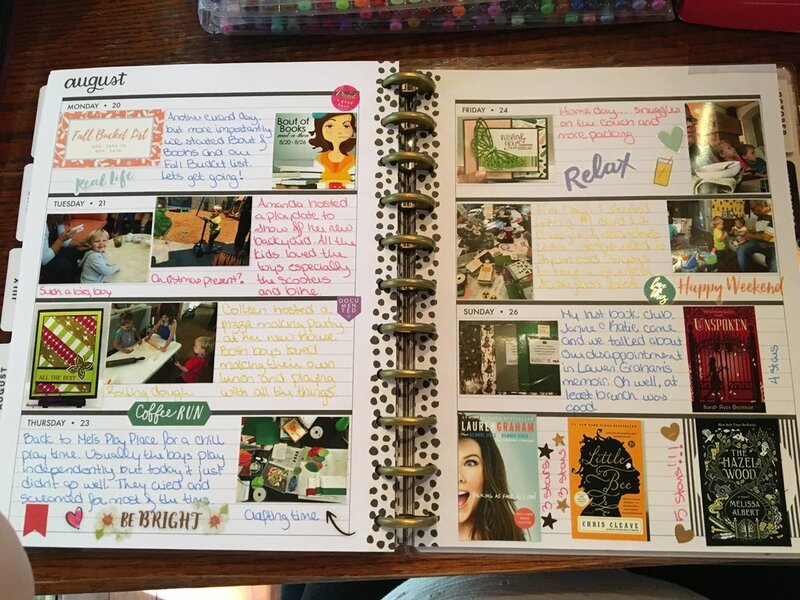 Lots of journaling and photos, not quite so many decorations. 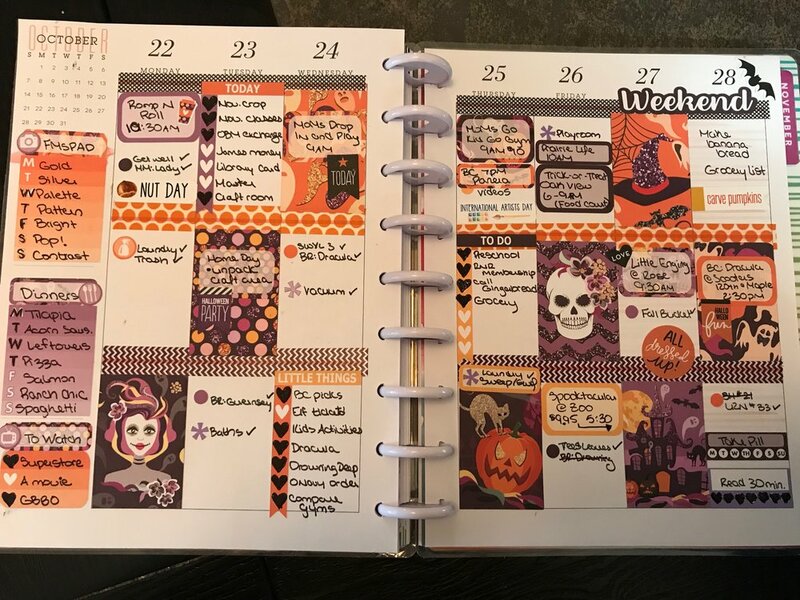 Love how this month’s pages turned out. On to November! I took all my Memory Planning supplies with me to Indiana. As we are just hanging out while our stuff travels across the country, I had some time to do a bit of crafting. I am missing two photos in the last week, but it will get them printed in my next batch. I also somehow forgot to do my Monthly Stats day at the end of the month, so I will put it on October 1st. Another year, more planner spreads. 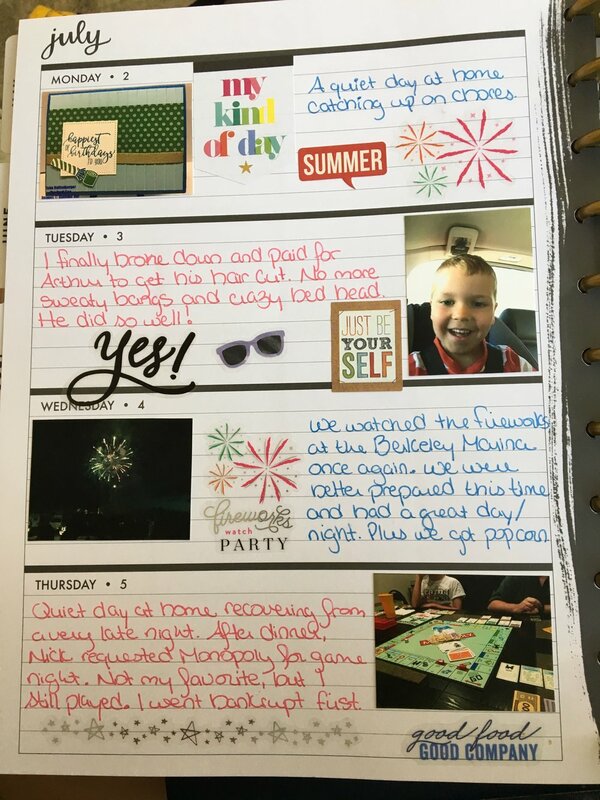 I'm a huge fan of The Happy Planner by mambi and this will be my third year using their planners. 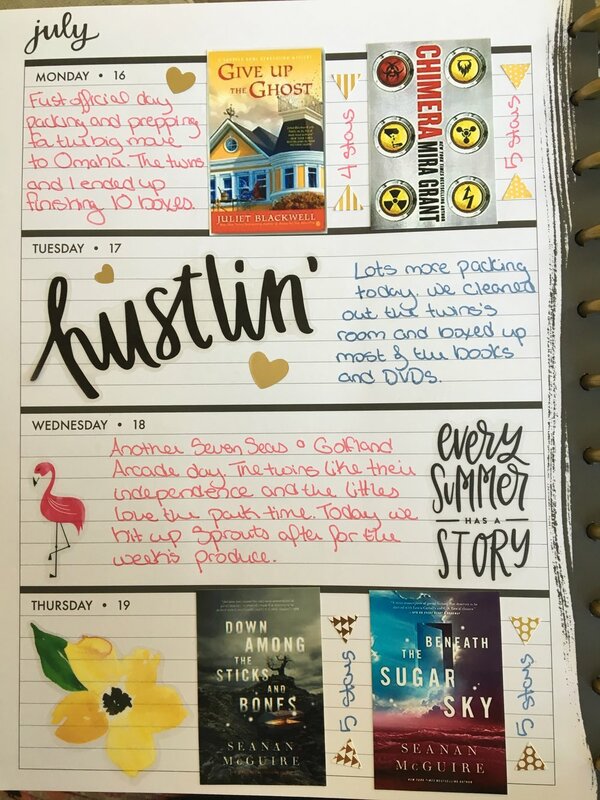 In this post, I highlight all my weekly spreads from May to August. Over the retreat weekend, I had Thursday night all to myself. And so I crafted! I finished all of my August MP pages the span of about 10 hours. July was a weird month. Either we were incredibly busy or we did absolutely nothing. Made for a strange month to document.